If you’re applying for a job in another country, it’s likely that the first interview will take place online rather than in person. 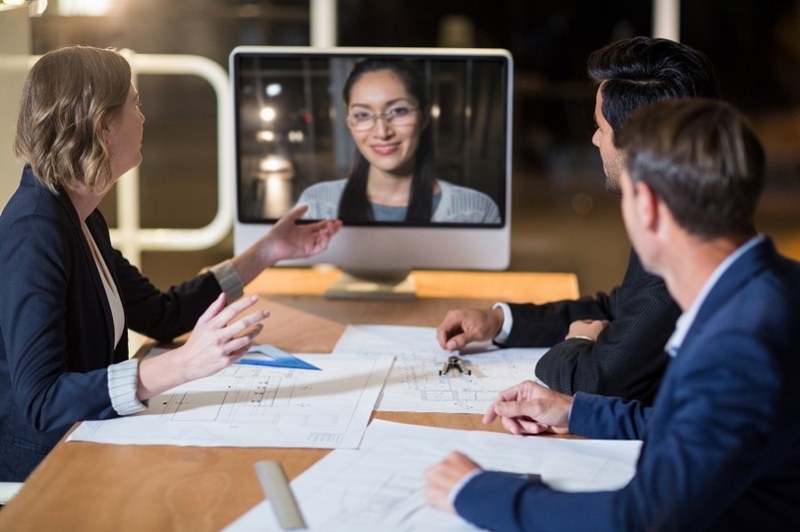 As well as ensuring your video chat etiquette is on point, there’s a few key considerations to make sure that you make as great an impression as you would face to face. A plain white wall behind you is preferable to a messy bedroom or a living room. Check what is in the background behind you and make it tidy and clean. Well before the interview is scheduled, have friends call you from a range of devices to make sure you can be seen and heard clearly and there’s no potential issues that could arise with the interviewer. Just as you wouldn’t use an unprofessional email address on your CV make sure your Skype username is simply your name, and nothing outlandish! If you’re using Whatsapp for the video call, check that your name and status are professional and simple. Non-verbal communication is even more important in a Skype interview, where you need to use every opportunity to convey the non-verbal signals you would in person. Eye Contact: make sure your webcam is at eye level, to maintain eye contact you need to be looking at the camera not at the centre of the screen. Sit your laptop on a stack of books or position your tablet so that it’s level and not tilting up at you. Eye contact is vital for positive body language communication, so check what the interviewer will see of you. Posture: if you’re sat at a desk or table, sit up straight and roll your shoulders back. Good posture will make you appear more confident and professional. There's a temptation to only wear smart clothing on your top half, but don't give in to that temptation. Dress as you would for a face to face meeting as it will put you in the right frame of mind and will also insure that the interviewer doesn't see your pyjama bottoms if you need to stand up for some reason!